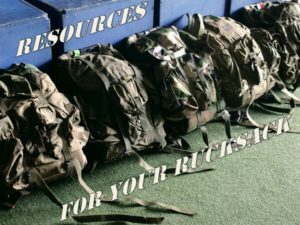 In order to ensure that the Head Space and Timing community is providing the most support possible to veterans, their families, and those who support veterans, we offer weekly posts that highlight free resources for veterans. This is important to us: in our opinion, veterans should not have to pay for their mental health care. That’s not to say that those providing the care should work for free, as mental health and wellness professionals that spent considerable time and effort receiving clinical training and developing their skills, and should be compensated appropriately. Instead, it is important to find other resources available, such as Insurance (with or without co-pay), the Choice Program, or grant-based or scholarship-based programs, which will enable to counselor or therapist to meet with the veteran. That is the goal of this series of posts. This week’s resource is a series of clinics that have been established over the past year at different locations around the country, the Cohen Veteran Network. The team at CVN have identified, like many of the rest of us, that there is a serious gap in the clinical mental health care that veterans are receiving. 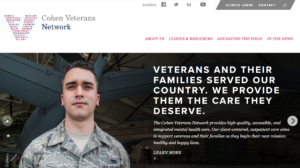 In partnership with local organizations, CVN has developed a model that supports the veteran and their family with clinical mental health counseling. Through our national network of Steven A. Cohen Military Family Clinics, veterans and their families are eligible for free or low-cost, personalized, and evidence-based mental health care along with access to comprehensive case management support and referrals to deal with other stresses like unemployment, finances, housing, and legal issues. Our skilled staff has experience working with veterans and their families. The need for mental health professionals that have experience in working with the unique needs of veterans and their families is critical. 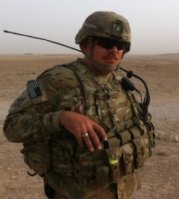 I’ve never said that a clinician who works with veterans needs to have served in the military themselves, only that mental health professionals must take the time to learn and understand the unique needs of veterans and those that care for them. In gathering the team of clinicians and staff that does just that, the CVN is providing veterans an alternative that is sorely needed. If you are located in any of the following cities, there is a Cohen Veteran Network clinic near you: San Antonio, Dallas, New York, Philadelphia, and Los Angeles. They are expanding into other areas as well. If you are not located in these areas, you can find other resources for free or low cost clinical mental health counseling by accessing our resources page here. If you are a veteran, or someone who supports a veteran, the mental health and wellness of a stable and productive life is not only important to you, it’s important to those who support you. Reach out. Seek help. It can’t do any harm, and it most definitely can do some good.